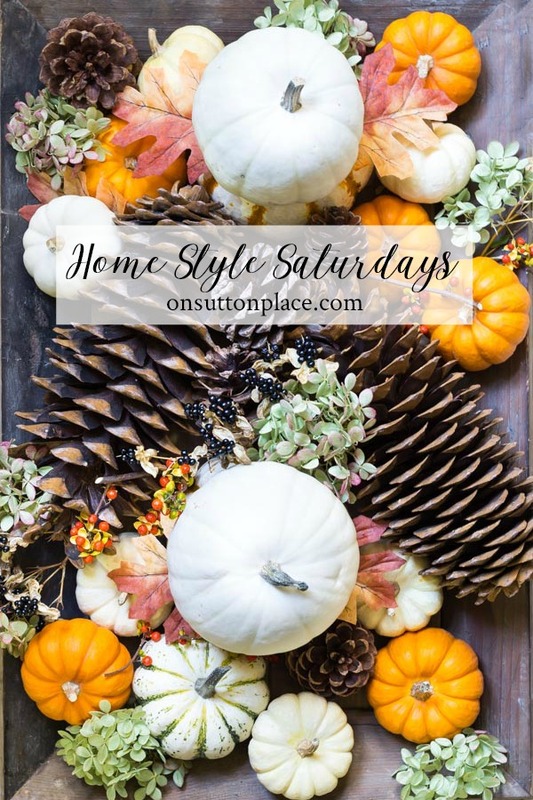 In this post: Home Style Saturdays 108. A beautiful master bathroom before & after, Kim’s fall sunroom, a fun way to do virtual room design, outdoor fall decor ideas, and natural fall centerpiece ideas. 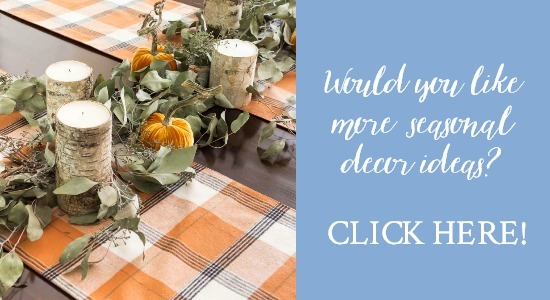 Welcome to Home Style Saturdays, a place to be inspired by all things related to your home, from DIYs to room updates, recipes, seasonal decor, and everything in between! 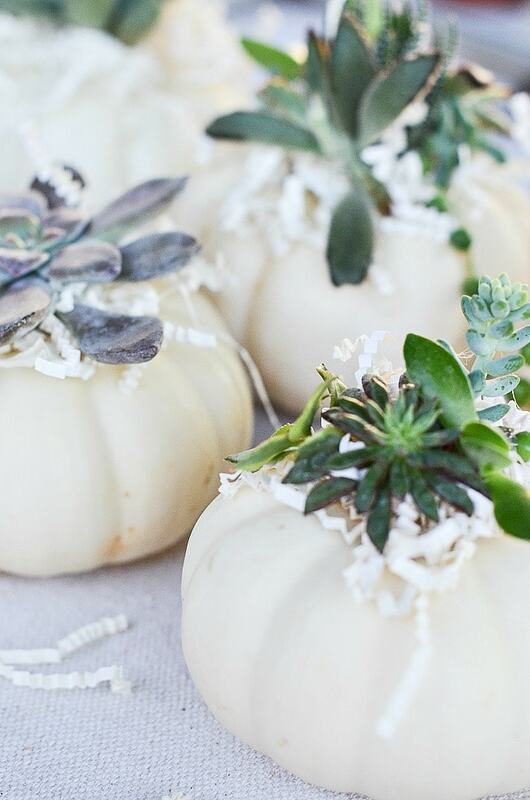 October is here and it makes my heart happy. Even though it’s still rather warm in Ohio, I am confident in the coming days I will be able to put on a sweater! (I can hardly wait.) Enjoy today’s links and enjoy the weekend! I have no idea how you do so many beautiful rooms and delicious recipes. Thank you so much for all the wonderful “shares!” Several of your ideas are used by me gratefully each month. 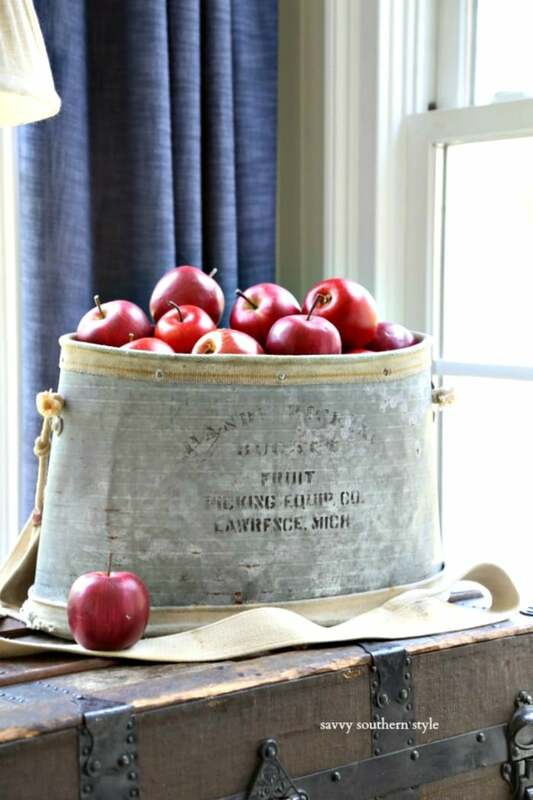 Love the simplicity of the white tureen centerpiece. As always your blog is lovely. You always have ideas that I would use in my home. 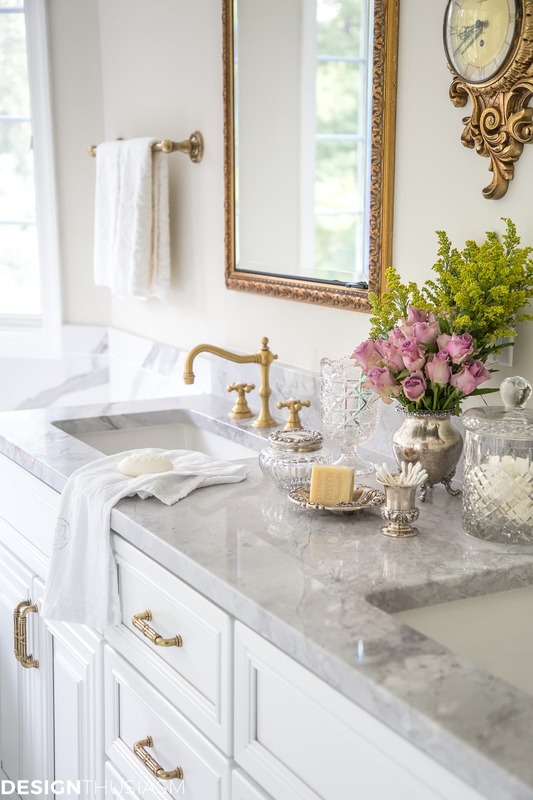 Love your “everything but the Kitchen sink ” arrangement! It is so earthy, a arrangement so colorful for this time of the season. :) Thank you for all your hard work. You are so welcome…thank you for taking the time to write!